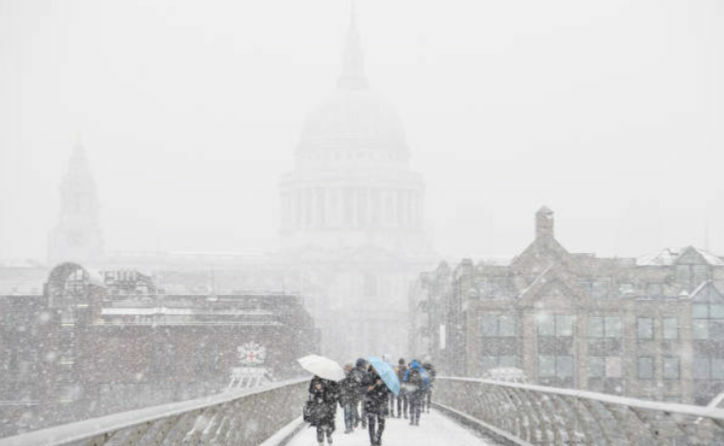 Almost two million households in Britain will be able to claim cold weather payments, due to the cold weather experienced across the UK last week. It’s one of the important rights that you can claim when there is a prolonged period of cold weather, but not everyone is eligible for it. The scheme runs between 1st November to the 31st March every year, and gives £25 for each seven day period of very cold weather within the time frame. After each period, those eligible for the scheme should receive the money within 14 days. You can get the payments if you receive Pension Credit, Income Support, Income-based Jobseeker’s Allowance, Income-related Employment and Support Allowance, or Universal Credit. You don’t need to apply for it, as it should be paid automatically, but if you believe that you are owed it, then talk to someone at your Jobcentre Plus to get more information. In the seven days ending on Friday 2nd March, payments were triggered in 38 areas, meaning that 1,995,000 people will be receiving £25 each, and so the Government will be paying out £49,900,000 in one week. Some £7.2 million alone went to residents in the area covered by the Coleshill weather station, which includes Birmingham, Coventry, and Dudley. A further £4.3 million was triggered for people in Doncaster and Sheffield, while @2.7 million went to residents in the Gravesend weather station, including Dartford, Romford, and Southend. In total, £90.7 million is estimated to have been paid out across Great Britain in the 2017/2018 winter. This is well above the amount for 2016/17, £3.1 million, and 2015/16, £3.9 million. The largest amount was in the winter of 2012/2013, where a huge £141.7 million was given out in cold weather payments. People should receive the money within 14 days of bad weather. Kit Malthouse, the minister for family support, housing, and child maintenance, said, “As we all experienced last week, extreme weather has the potential to cause a number of problems, but what cold weather shouldn’t do is discourage anyone from turning their heating up to keep warm. Thousands of households still don’t have running water due to problems with frozen pipes in the cold weather. Reducing the cost of energy would be better. No one should be unable to pay the bill and I saw so many people sit in the coffee shop whole day, because the drink is cheaper than the heating. It should change. The criteria is quite narrow. I get the annual payment which is always handy but I don't get this. Harrow gets one week's payment so most areas should get at least one payment.